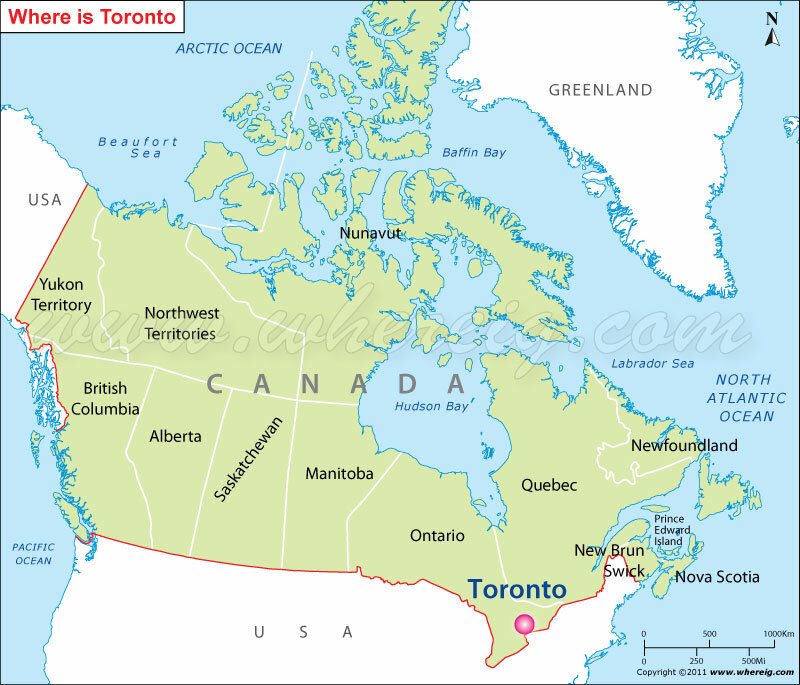 As shown in the given Toronto location map that Toronto is located south-eastern part of Canada. Toronto is the largest city of Canada and capital city of Ontario Province situated north-western shore of Ontario Lake. Toronto is the part of a densely populated region in the southern Ontario and more popularly known as the "Golden Horseshoe". Toronto is one of the leading economic sectors including business services, finance, aerospace, telecommunications, media, transportation, arts, film, television, production, publishing, media research, education, software production, engineering, sports industries, and tourism. Furthermore, Toronto is the economic capital city of Canada and more frequently recognized as 'alpha world city' by the Globalization and World Cities study group.